Designed to reflect the owner's love of modern homes and craftsman furnishing, this 2500 square foot home boast an open floor plan and gorgeous views. The Diablo Residence is a 3 bedroom, 2 bath home on an acre of land looking into the San Luis Obispo coastal range. The constant communication with the views and nature were extremely important. This 2600 square foot, 4 bedroom, 3 bath single family home in Templeton boasts 360 degree views of vineyards and rolling hills. Though this house is designed to reflect the styles of mid-century modern and Bauhaus design, it incorporates 21st century technologies and sustainable design to make the home a conscious dwelling. Modern guest home on large vineyard in Napa. 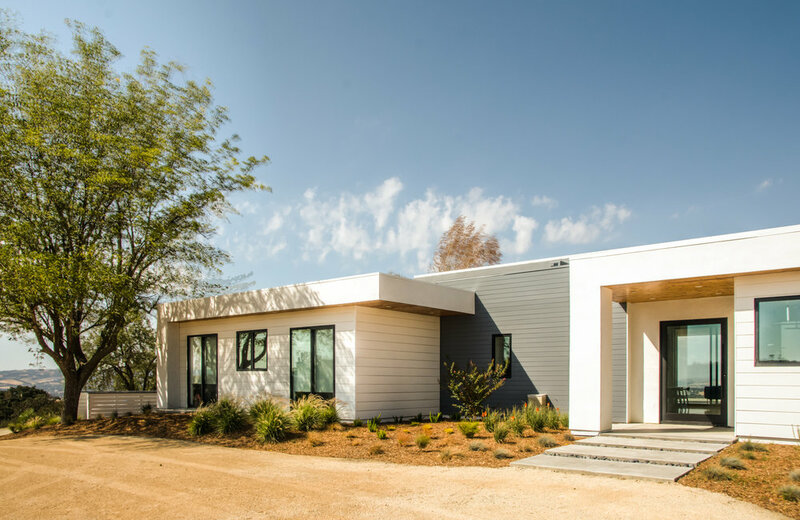 The Double H Ranch in American Canyon outside of Napa took the opportunity to develop a 1200 square foot second unit. 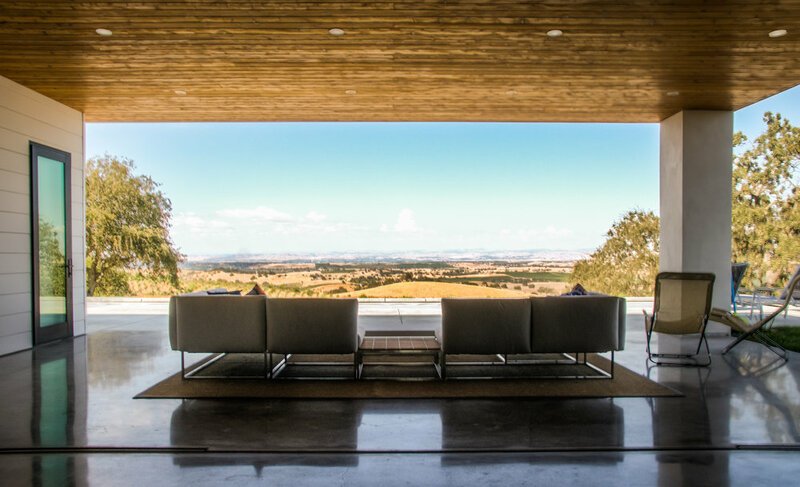 The new 2 bedroom, 2 bath guest home was designed from a premanufactured light-gauge steel structure (Blue Sky Building System) in order to not affect the natural landscape of this gorgeous vineyard. The design was inspired by the modern design aesthetic, and combines the need for simple rectilinear lines, durable materials, and efficient construction.